Produces an overall brownish tone to the image. Good for scenics when an "old" tone is desired. 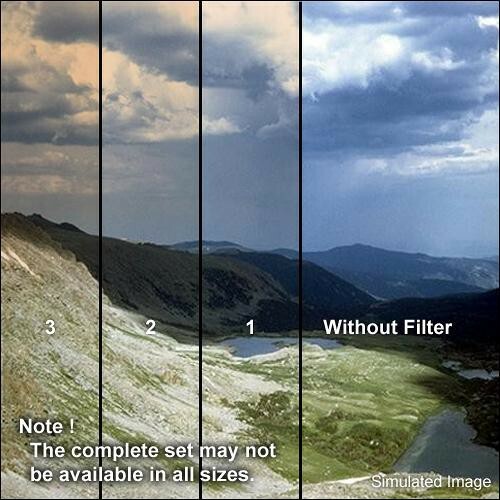 Adds intensity and can be used to enhance sunrises, sunsets and general landscape photography.